This is the fourth expansion to the popular Beer & Pretzel’s Game STARFIGHT©. This expansion features a mighty doomsday machine called the Death Cube. 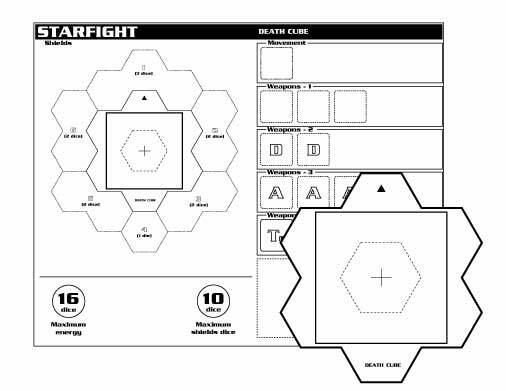 This is not a game itself, you need the STARFIGHT© base rules and the expansions II and III in order to use this expansion. The Death Cube must be faced by four ships and it features a new weapon: the assimilation ray! Beware, You'll need even more dice!